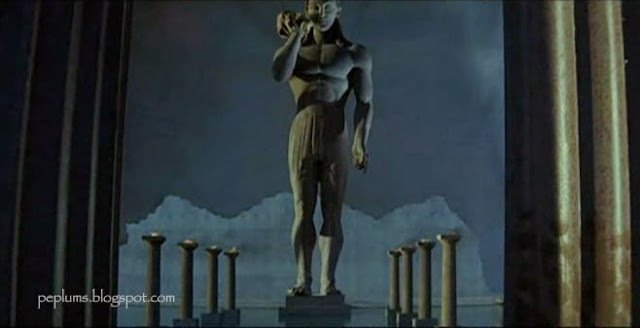 Same statue, different films. What's interesting here is that both films were made around the same time. 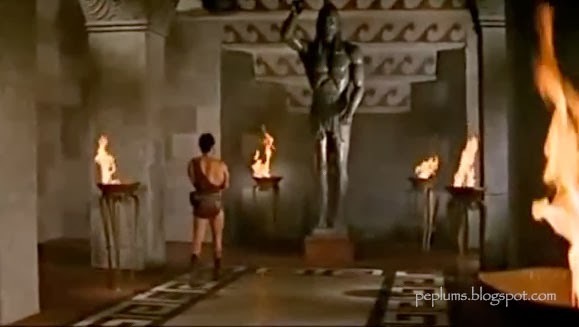 GOLIATH AND THE DRAGON was released in Italy in November 1960 while THE GIANTS OF THESSALY was released in Italy in December 1960 (What a time for PEPLUM fans!!!). 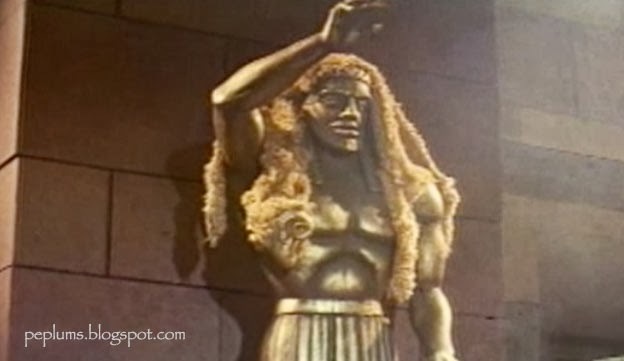 I believe the statue was made initially for THESSALY first and showed up in DRAGON after. 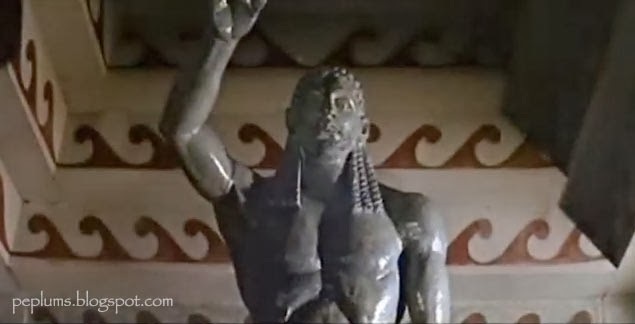 There are two different statues in THE GIANTS OF THESSALY including the giant one which has a passing resemblance with the main one but is marketably different (different head, arms, etc). It's probably from the same mold. …the statue seen in THE GIANTS OF THESSALY. It's covered by the Golden Fleece here. The giant statue has a passing resemblance but has some differences to the smaller version above.